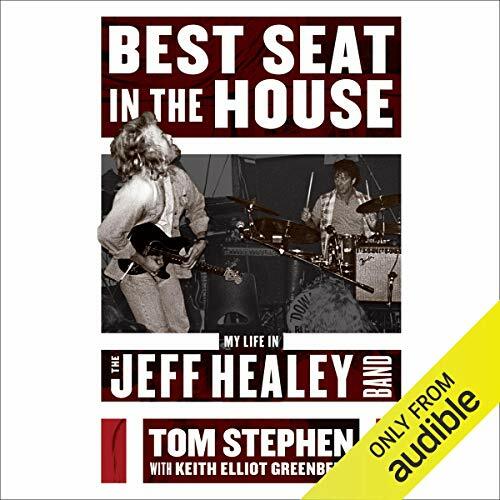 For 15 years, Tom Stephen had the unique distinction of being both drummer and manager of the Jeff Healey Band. The dual role was fraught with conflicts of interest. One minute, he was leading the debauched life of a rock musician; the next, he was disciplining the band for the havoc they caused. Tom Stephen was there for it all. He believes that young fans deserve to experience Healey’s brilliance - to understand the complicated man behind those timeless sounds. Best Seat in the House offers an authentic perspective that fans won’t find elsewhere. ©2018 Castle Hill Records Limited and Keith Elliot Greenberg (P)2018 Audible, Inc.